I booked the bushcraft day for my husband as a surprise Christmas present. Being vegetarian, I checked in advance to make sure that there would be no ‘animal related’ activities and David assured me that there wouldn’t be. He also asked about dietry requirements and I told him I was vegan but was happy to bring a packed lunch. We had a superb day, building fires, whittling wood, building shelters and purifying water. I was really touched to find out that not only was our campfire meal veggie, but David had also gone to the trouble of asking his son to make me a vegan cake so that I wouldn’t miss out at tea time! David is a superb guide who I can imagine is as at home with a group of corporate executives on an away day as he is wrangling a group of children. Incredibly knowledgable, patient and personable, David made for the perfect woodland host. Needless to say my husband was thrilled with the gift and thoroughly enjoyed it. My only challenge now is how I top it this Christmas! Firstly, maybe from a woman’s point of view but the kettles were on and tea and coffee was available all day. 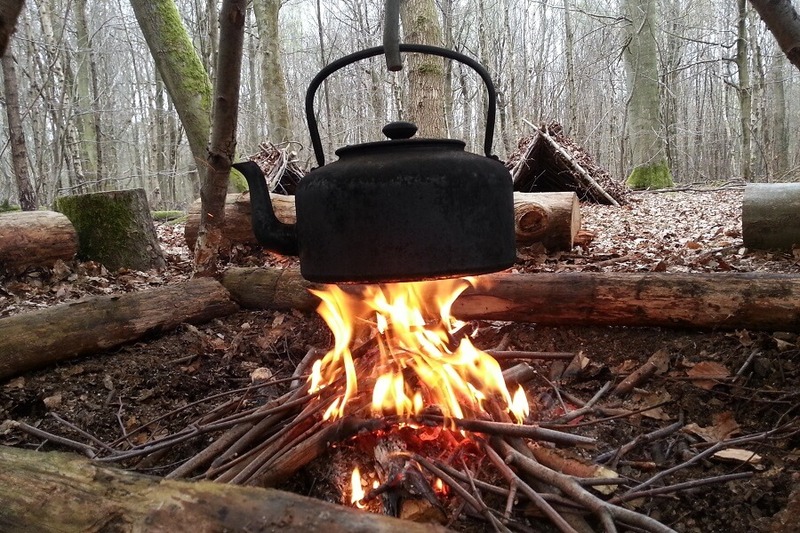 Nothing tastes nicer than a cup of camp fire tea – except for the excellent lunch David made over the same fire. We had a wonderful day, learning about the trees and the forest. All stuff we thought we knew but maybe had either forgotten or just thought we knew it. We collected nettles for the lunch, and there were a few raised eyebrows and mild protests, but we soon learned – nettles don’t always sting. The very best bit was whittling wood- we loved it and didn’t want to leave at the end of the day. I still claim my butterknife is one of the best – and not a dwarf’s sumari sword. Weather didn’t matter, we were warm, comfortable and at the end of a splended day – very happy. Thanks David – everyone should do this. Its the best gift day out you have never thought of. Hope readers try it for themselves. 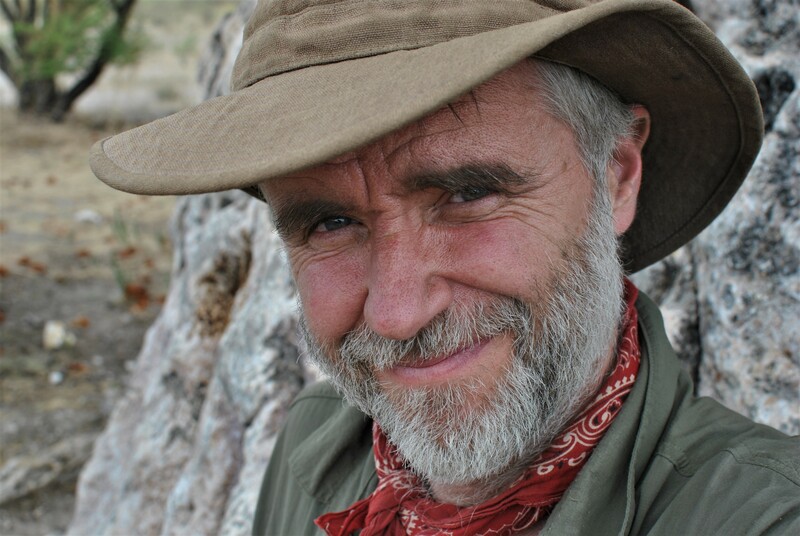 I have been lucky enough to see David’s level of Bushcraft skills as a parent at several family/children friendly events (woodland walks, educational events relating to nature and Bushcraft). As well as his expert adult focused courses as an Explorer Scout Leader. These have included the life changing ‘Adults introduction to Bushcraft weekend camp’ as well as being our Bushcraft expert at our Explorer Survival Camps. David has a wonderful nature, calmly and expertly explaining exactly his subject matter be it to young kids, our Explorers or us slightly older ‘kids’.